We are your source for custom web design, development & digital marketing strategy.We can help you design a new website or give your current one a re-boot. We go beyond design with digital & internet marketing packages to help your business grow. Simplify your marketing program with our comprehensive digital marketing solutions. 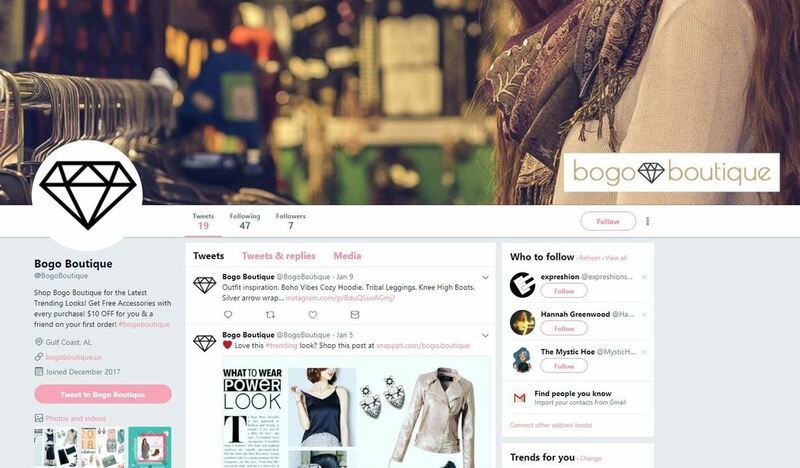 E-Commerce Startup launched In January 2018- Bogo Boutique, a modern online boutique store featuring fashion, jewelry & handbags for women. Project Scope: Branding. Logo Design. E-commerce Website Design. Digital Product Catalog. Social Media Marketing Campaign. Digital Advertising Campaigns. Marketing Collateral & Print Services. Customer Loyalty Program Development. We helped this eCommerce startup launch successfully and it is currently performing within the top 15% of Shopify stores launched at the same time.